Given that Microsoft is working on fully collaborative product offerings, I expect more efforts between users and developers like this feature. One of the common mistakes made by companies is that both they and their customers often take upgrades and improvements for granted. They don’t promote them, we as users often don’t use them and, even if we do, unless the changes are heavily marketed we tend to take these changes in stride and devalue them. This is a problem when a competitor emerges or when it comes time to upgrade to a new version of a product, because we’re likely to try the competing product or avoid the upgrade…because we don’t see the value of either the existing product or the improved offering. Apparently, Microsoft is moving to address this problem with something called the “Coming Soon” preview pane. I recently received this as a heads-up as part of my Office 365 subscription. I’m intrigued with the idea, because it seems to address the problem of folks taking Outlook for granted. If successful, I expect this capability to move to the rest of Office and become a far more common practice both within Microsoft and other firms as well. Coming Soon appears to have its roots in a practice that began at movie theaters and then moved to DVDs, where previews of related upcoming releases were grouped under a “coming soon” menu option. But in this case, the effort focuses on planned changes to Office, and it gives users the ability to comment on these changes before they experience them first-hand. This is a far cry from what used to be a very common complaint about Microsoft’s products. Namely, that they developed improvements largely in a vacuum and then beat users over the head with them. This is what largely led to such infamous product failures as Office ’98, Windows ME, Windows Vista and Windows 8. Since then, at least for Windows, Microsoft implemented the “Windows Insider Program,” which allowed folks to try new builds of Windows and then comment on them before the release was finalized. This has been reasonably well-received, but aggregating all the changes in a build did make the task of reporting back somewhat onerous. If they could break the changes out so you were more likely to comment on them individually, more folks should comment and help Microsoft refine the resulting product. “Coming Soon” appears to break out the features and allows (when it’s toggled on) for users to check out upcoming changes in a granular fashion and report their opinions. As noted above, this initially will work only with Outlook, but Outlook – the default Office 365 email client – is one of the most heavily used components of Office 365, which makes it a great place to start. “Coming Soon” will also come and go. In advance of an update, the “Coming Soon” feature will allow you to explore the coming features. But once that update arrives, “Coming Soon” will be disabled until another update is ready to be released, assuming this initial run is successful, of course. This initial run will apparently showcase updates to the folder pane, message list, message and calendar read/compose screens. In addition, improvements to the ribbon will be showcased. These improvements include the option to simplify it to the most commonly used commands. In all cases the effort appears to be focused on making Outlook use more efficient and faster. 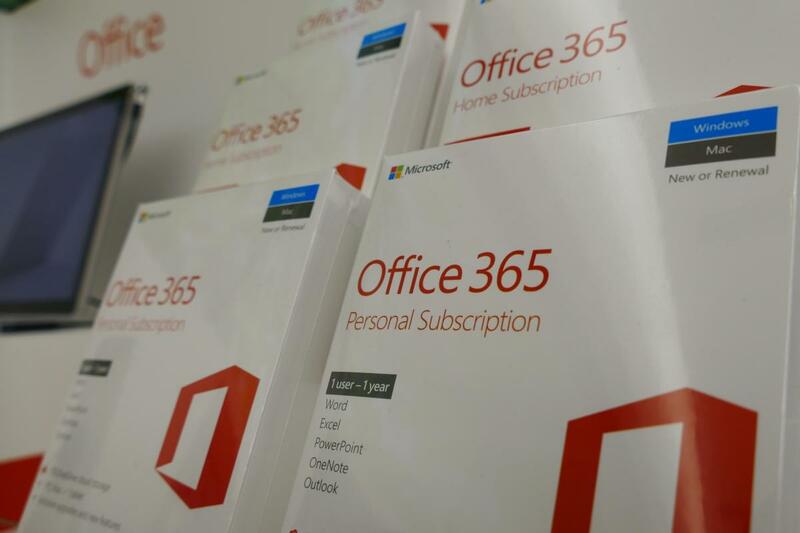 This initial run is not only just for Outlook but only for Office 365 users showcasing the focus on subscription customers by Microsoft going forward. There is no prep work, according to Microsoft, to make way for this change. As noted at the start, one of the big problems is people either not using new features or taking them for granted. A program like “Coming Soon” should help address both. First, it introduces people to new features and potentially gets them excited before the release…making them more likely to be used. Secondly, it engages the user in the creation process, making it less likely the user will take these features for granted once they arrive. Further, the feedback loop appears to better connect users with Office 365 developers, which in turn should improve customer loyalty and retention. Going forward, given Microsoft is working on full collaborative offerings, I expect to see similar efforts between users and developers. I can imagine a time, in a few years, where our engagement with the developers of software and hardware products will be far more intimate. Not only with Microsoft but with other vendors as well. Granted, first these vendors need to see the benefits of user engagement. But, with efforts like “Coming Soon,” I expect that to happen shortly.